Upbeat Spiritual Living: Thinking of Meditation? For those thinking of meditation, there are many options today. Meditation dates back centuries through different cultures. So there are many varieties of meditation being taught now. Some practices are aimed at medical sample groups attempting to shift a single health factor, such as high blood pressure. Some are taught for relaxation and stress release, or to increase one’s ability to concentrate. As an author who has been meditating for many years, I felt the time had come for a book that would simplify and demystify spiritual meditation practice. The fact is that anyone can meditate if they have the interest. My own results have been profound, including increased clarity of mind, calm, feeling rested, and having more peaceful reactions to potentially stressful situations. We are body-mind-heart-spirit beings, as Psalm 139:4 says, “so fearfully and wonderfully made.” Medical science has proven that we are literally meant to be in joy, as the body suffers under stress and fear. Yet it literally restores itself and thrives in joy, love, and peacefulness. Today, I would like to help as many people as possible launch their own meditation practice in some form. My book, Sacred Meditation: Embracing the Divine, was written primarily for the person who likes God and wants more of a relationship with God. The types of meditation, and related practices, in this book, are shared mainly for people who want to experience more serenity, in a spiritual context. They may also want to hear more guidance, and sometimes more comfort, learning to tune in more clearly to the Universal Frequency. With intentional practice, especially with regular daily practice, those who meditate in these ways find they can more and more quickly tune in and experience sacred communion. In addition to meditation and contemplation methods, there are tools using breath, visual helps, sounds, finger and hand positions, and body poses. We can call this collective group of practices Sacred Meditation. The concept for this book followed on the completion of my previous book, Inspirations for Peace Within. 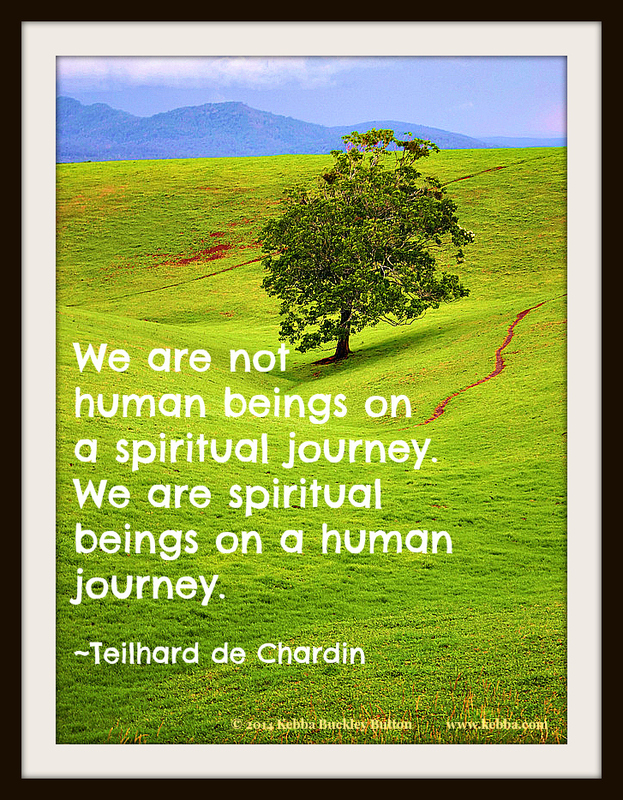 That book offers inspiration, through narrative, quotes, poems, and photos, to reach lasting personal serenity. That work serves the pathways of the mind and heart. However, there are many ways to use the mind-body connection also, to take the seeker deeper in reaching that essential, grounded, satisfying, perfect peace that people yearn for. 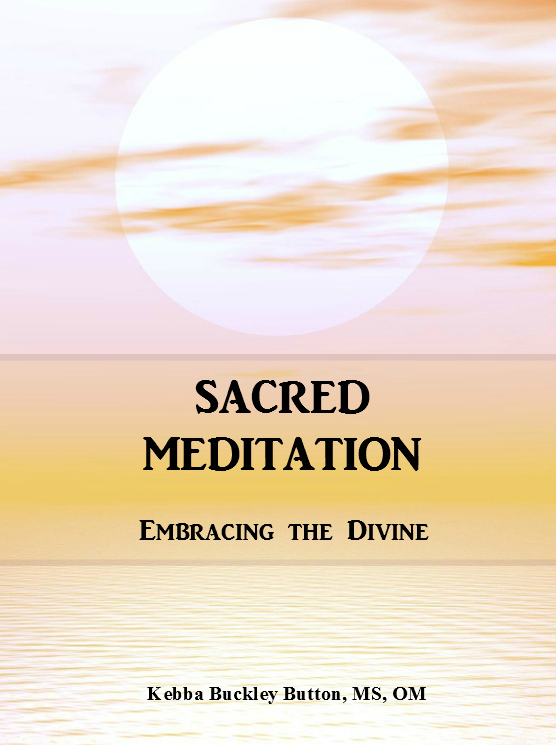 The mission of this book, then, is to bring forth key concepts of Sacred Meditation methods, so that people can begin experiencing for themselves the profound body-mind connections and effects available to them. Sacred Meditation is easy. And the more a person experiments with these tools and techniques, the deeper the person will go into personal peace, and the closer will be their embrace with the Divine. In the next few articles, we will explore how meditation evolved and what some easy types of meditation are that people can try. And get results quickly. Kebba Buckley Button is an ordained minister whose passion is helping people find their Peace Within. She is also a stress management expert with a natural healing practice.. She is the author of the award-winning book, Discover The Secret Energized You (http://tinyurl.com/b44v3br), plus Sacred Meditation: Embracing the Divine, available through her office. Her newest book is Inspirations for Peace Within: Quotes and Images to Uplift and Inspire. It is available from her office in full-color print or full-color PDF versions. ← Upbeat Spiritual Living: Got Stillness? Oh, how wonderful!! Congratulations, Kebba! I love this idea. Especially finger and hand positions, sounds. I have a sound bowl I use for clearing, but now I am thinking of maybe using as a beginning for meditation just from reading this post. Jeanine, thanks so much for reading my piece and commenting. You will love the next few articles on meditation. Meditation or just quiet contemplation on the word of God is what helps me release all the stress and noise in my life. I tried “sitting” for a while but even 1-minute was too challenging at that time.